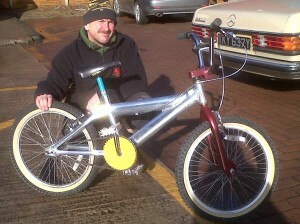 We at Ree-Cycle have been busy getting our hands on some new stock. We have got some lovely vintage Raleigh shopper bikes in, 1970s and a 1980’s model. They are perfect for buzzing around town, college or just posing with the VeeDub crew. Proper classics. 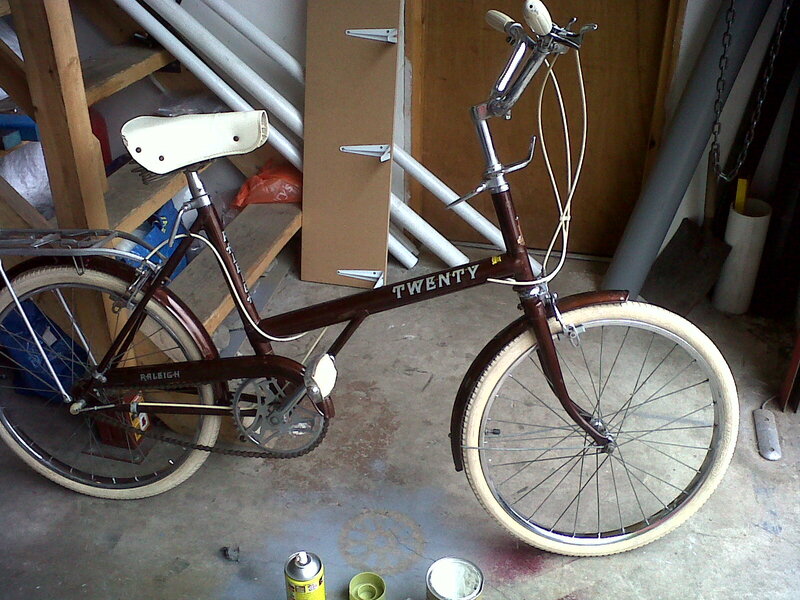 This Twenty model is 40 years young and has a Brooks leather saddle. Beauty!! A national charity based in Sheffield are appealing for cyclists to get on their bikes and ride to raise cash for them. The British Tinnitus Association are desperate to find people to cycle for them in the forthcoming Prudential RideLondon-Surrey 100 on Sunday Aug 4. If you can help or want to find more please contact Helen at the charity on 01142509933. The Prudential RideLondon-Surrey 100 is a world class festival of cycling, taking a cue from the London Marathon and amateur cyclits will participate in the 100 mile challenge around the Olympic course on the same closed roads as professionals. We at Ree-Cycle know a thing or two about a bargain and we like to share it with our customers, which is why we are proud to present our clothing range. A wide assortment of t-shirts, shorts, shorts and vests are on sale in the shop and include new and quality second hand with names such as Vans, Ellesse, Pringle, Animal, Stussy, O Neill and many more. Guaranteed to be cheaper than the high street, come and have a look and grab yourself a bargain. Ree-Cycle goes back to school! 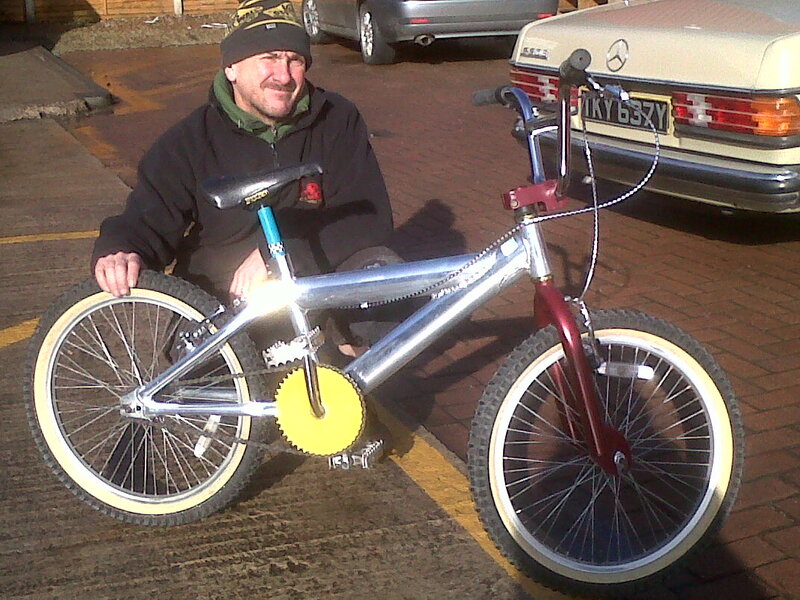 The new school went back to the Old Skool recently when Ree-Cycle took a selection of vintage BMX bikes to Dinnington Comprehensive. The event organised in conjunction with Sustrans aims to raise awareness of different types of bikes, how they work and are maintained. Youngsters from all year groups enjoyed putting the hikes through their paces and having a chat with owners Glynne and Keeley Ensor who were impressed by their manners, politeness and good behaviour. Hopefully Ree-Cycle will be doing similar events in the future. 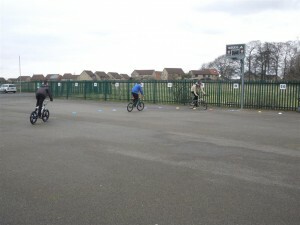 Ree-Cycle is proud to announce it will be working in partnership with Sustrans on projects in Rotherham schools. Starting with an event at Dinnington Comprehensive on Thursday March 21st, we will be holding workshops, explaining what we do, letting youngsters have a go on a few bikes and selling bits and bobs from the shop. We are delighted to be working with Sustrans as they are a charity promoting the use of travel by bike, foot or public transport thereby reducing our carbon footprint and protecting the environment, which is our ethos too. We are also pleased to be members of and working with Rotherham and Barnsley Chamber. We believe it is important to support local businesses in these tough economic times and the chamber has given us invaluable help. This lil’ beauty just lights up a bleak day and gives us a taste of fun in the sun. It features a lightweight aluminium frame. The actual make is unknown but the welds are quality. Boasting a new old skool Ruption seat, refurbished head set, forks and seat post, it also includes a new double stud seat clamp. Also,new brake levers, cables and old skool callipers, Diamond Back new old skool handlebars and grips. 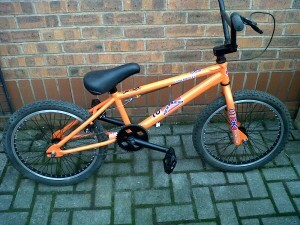 The refurbished wheels have new tubes and new 2.125 tyres. DK did an original General Lee special edition in the late 80’s. However, this model was made of high tensile steel. Our model is the more popular DK six pack which is 4130 Chro-moly frame and forks professionally sprayed in the famous colours of the Dukes of Hazzard car. In addition to this, we have added a refurbished Diamond Back sprocket and three piece crank. 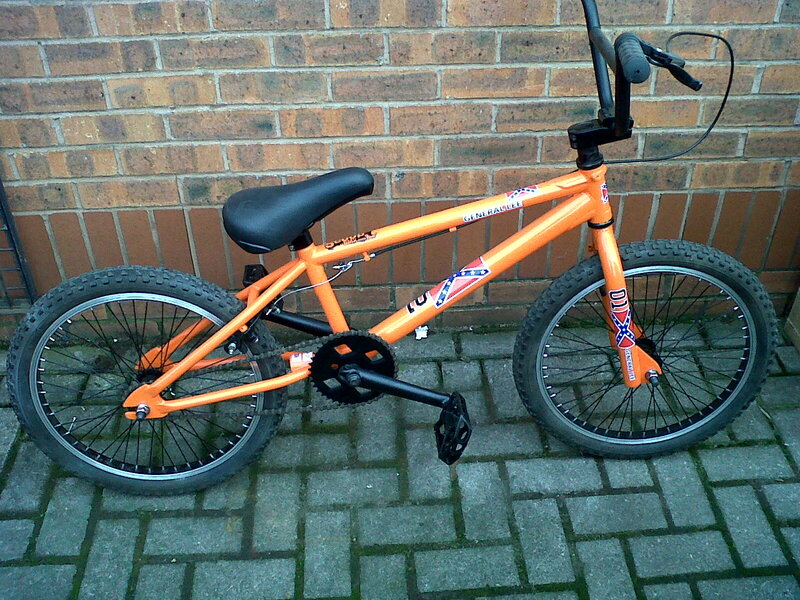 Brand new Raleigh/Diamond Back black alloy rims, new tyres and tubes. A 414 Industries chunky seat and finished off with a full set of decals in true Confederate style. The bike is for sale and available to view at our showroom. Please contact us for more further details. Ree-Cycle goes live on radio! We will be live on local radio this weekend. We will be talking to Rother FM this afternoon (Friday January 11) and will be doing a live broadcast with BBC Radio Sheffield tomorrow (Saturday) where we will be talking about what we do and also improvements to Sheffield Canal Basin and its benefits and implications for cyclists and other users. Please listen out for us. Congratulations to Shanaze Reade who emerged triumphant in the recent indoor BMX competitions at Saint Etienne Loire. The three times BMX world champion, Reade, was the only rider in the GB squad to win on both days of the competition. Also giving good performances were Curtis Manaton, Grant Hill, Abbie Taylor, Dan McBride, Quillan Isidore, Ryan Stack, Dan Pullen. However the good news as marred by double Olympian Liam Phillips and also Kyle Evans both suffering injuries. Phillips had a fracture and dislocation following a collision with French rider Joris Daudet whilst Evans fractured a bone in his left wrist following a fall during a rhythm section. Hope both have a speedy recovery.